​Does your home look more like a ​hot mess than a welcoming sanctuary? Then you need to organize your home! If you're overwhelmed by piles of clutter, mess everywhere, and never being able to find what you need, then it's time to get organized. If you're overwhelmed by Pinterest-perfect pictures from professional organizers and trying to make your home look photo-ready 24/7, try an organizing approach with a little more grace and forgiveness. In Organize Your Home, I'll give you ideas and inspiration about how to organize and declutter your home for regular people who actually LIVE in their home and use their stuff. 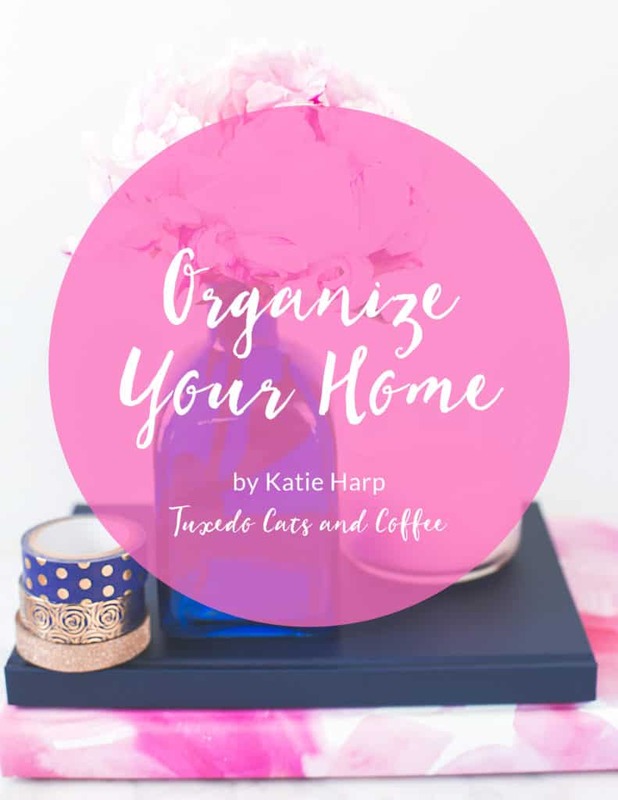 I'll show you photos and real organizing projects from my own home to give you inspiration to get organized, along with tips that you may not have heard elsewhere. It's not about being perfect - it's about decluttering the things in your life that you don't want or need anymore, and then keeping and organizing what's left. The things that actually matter to you. Imagine less stress and more time to do what you love. Less time spent looking for things or wasting money buying something you already have hidden away in the closet, and more time relaxing. Organizing can get you there. Start today. "Outer chaos reflects inner chaos." What Organizing Supplies Do I Need? 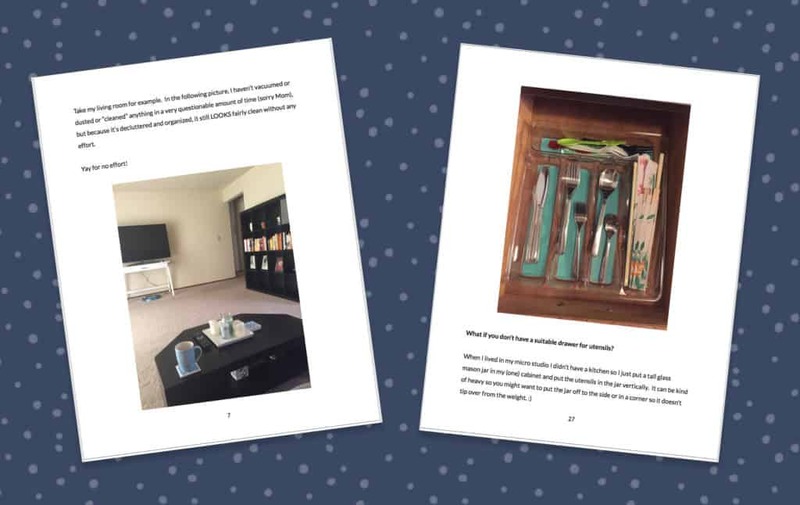 57 pages of organizing and decluttering ideas and inspiration. 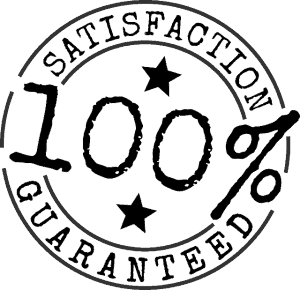 ​Interested in becoming an affiliate for our products? Copyright Tuxedo Cats and Coffee, and Katie Harp.